“Our yard and garden are the “lushest” they have ever been. 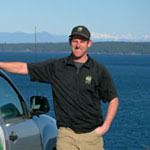 John Close is straightforward and honest and has an excellent product and group of employees. He provides good service and we have had excellent results.” – Dianne and George, Glenora. “Our gutters were pretty plugged with dirt and leaves …they did a great job in all areas .Rain is draining great now.” 10/10! Beth, Duncan. Now taking on new clients for 2019! Own a home? Work away from home? Rent a home? Manage a Strata or commercial property? 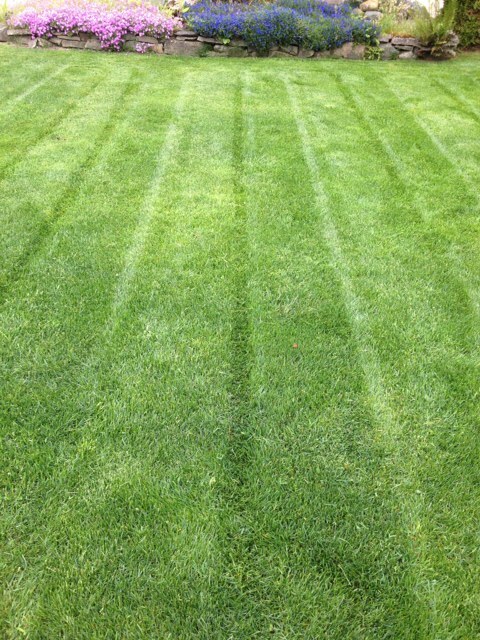 Let our professional property maintenance crew mow, trim and edge your lawn to give it that sophisticated look and free you up to do what’s really important to you. 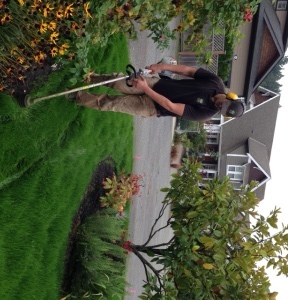 While they are there, they can also weed and prune your garden beds to ensure your entire property remains Lush. In the Spring and Fall we’ll hand clean your gutters, flushing out the downspouts as well as winterize your irrigation system all to ensure a flood-free winter! What sets us apart? Simple. We hire professionals! We show up trained, on time, clean cut, smoke free, wearing Lush uniforms and drive trucks and trailers you’d be proud to have parked outside your home. 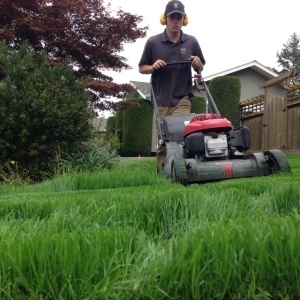 Beyond that, we sharpen our mower blades multiple times a week to ensure your grass is cut not shredded as well as wash out our new Honda Commercial machines thoroughly to prevent weed seeds being brought from one property to the next. We also alternate our mowing patterns every visit to prevent ruts and for that clean, sophisticated look. Simply put, we do it right the first time and on the rare occasion that we miss the mark, we always make it right! On top of all that, we are also licensed, insured and WCB protected and best of all, our customer’s love us for our friendly, reliable and professional service! Honestly, what else could you ask for in a company? Schedule your 2019 Property Maintenance service today! If you live in Nanaimo, Duncan, Victoria or somewhere in between AND your lawn is currently covered with moss, weeds or other undesirables – you’ll need a renovation to get things back on track. 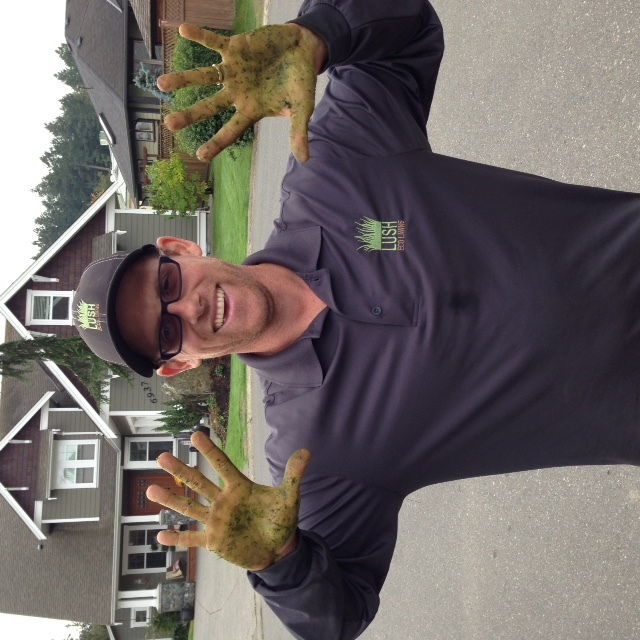 Most renovations involve a vicious power-raking (moss removal), core aeration, weed removal followed by seeding, topdressing and our lush green natural fertilizer! Most lawns will take at least a full season to recover their Lush factor again. Don’t want to wait a full season? 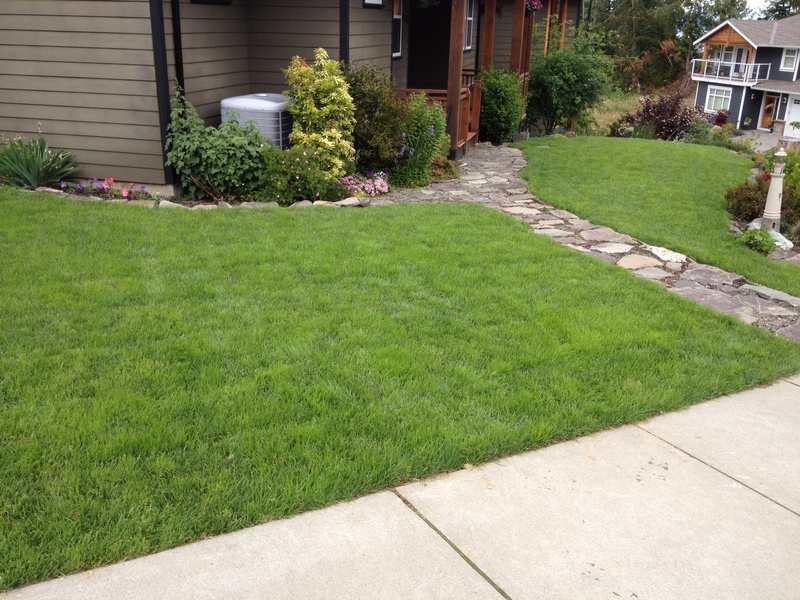 We recommend a full lawn replacement capped off with our Lush green seed or Sod! 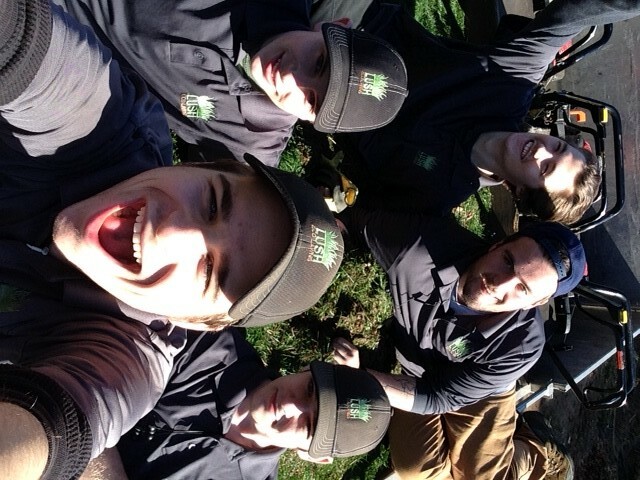 Check out our Reno crew! What a nice bunch of fellas! Aerating releases your soil compaction, promotes better drainage and most importantly enables the air, water and nutrients to become accessible in your soil. Moss killer is a waste of time and money. 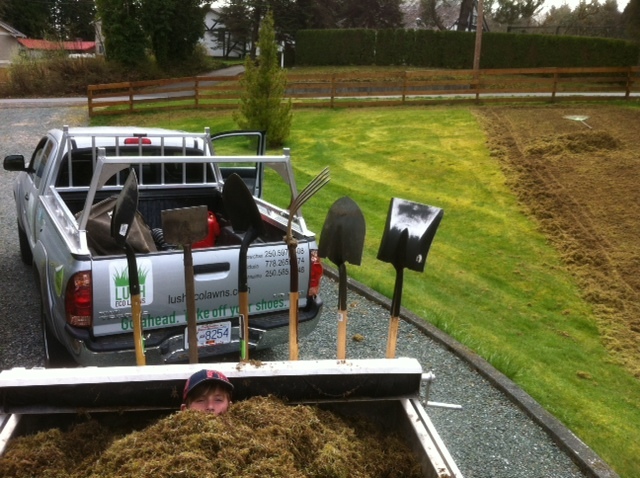 Best to mechanically remove the moss with power-raker to give your new grass room to breathe! 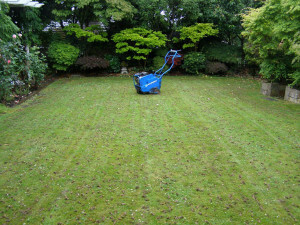 Sometimes a lawn is too weed or moss covered and its best to start fresh! 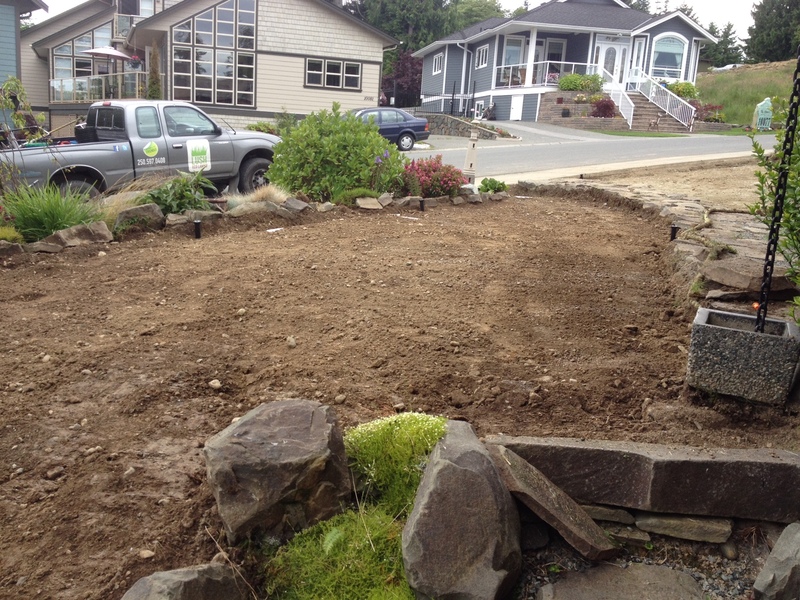 Once our excavators have removed your existing lawn and topsoil we bring in the Island’s best super-soil and sod and presto! You have a park. 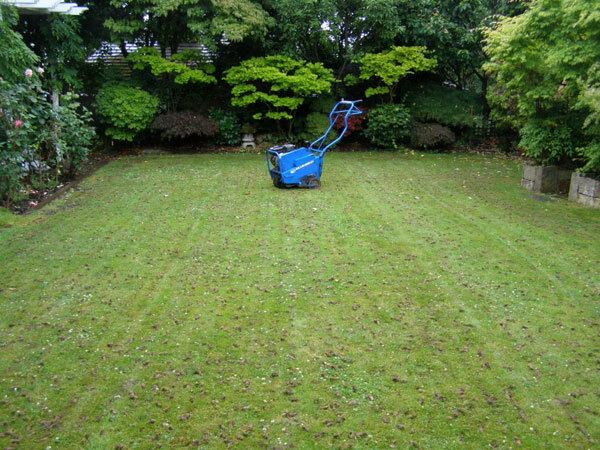 They are doing a great job and to date the staff are very accommodating in the process of caring for our gardens and shrubbery.” Sherwood House, Duncan. “It was so nice to come home from work and see how clean and tidy everything looked after a good pruning.” Diane, Dunan. 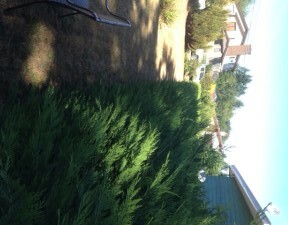 “Many thanks for the outstanding work you did to bring everything together and plant our new garden. It was a big job on a ten acre property and, at every step, you were gold standard – listening closely to the look and feel we wanted to achieve, coming up with just the right solutions, resourcefully searching out hard-to-find plants, and doing a first rate job on installation. All that from wonderfully positive people who are passionate about what you do and an absolute pleasure to work with. 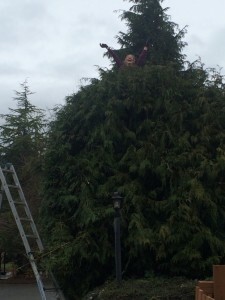 Thank you again and we look forward to future projects together.” Peter & Mia Lanyon, Cedar. 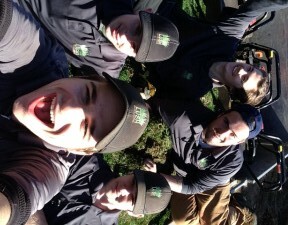 We enjoy gardening and it shows! 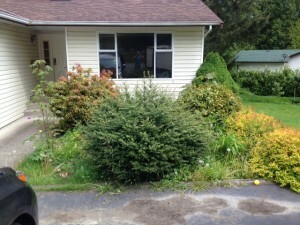 We’ll take your overgrown, weedy gardens and make them into a picture! 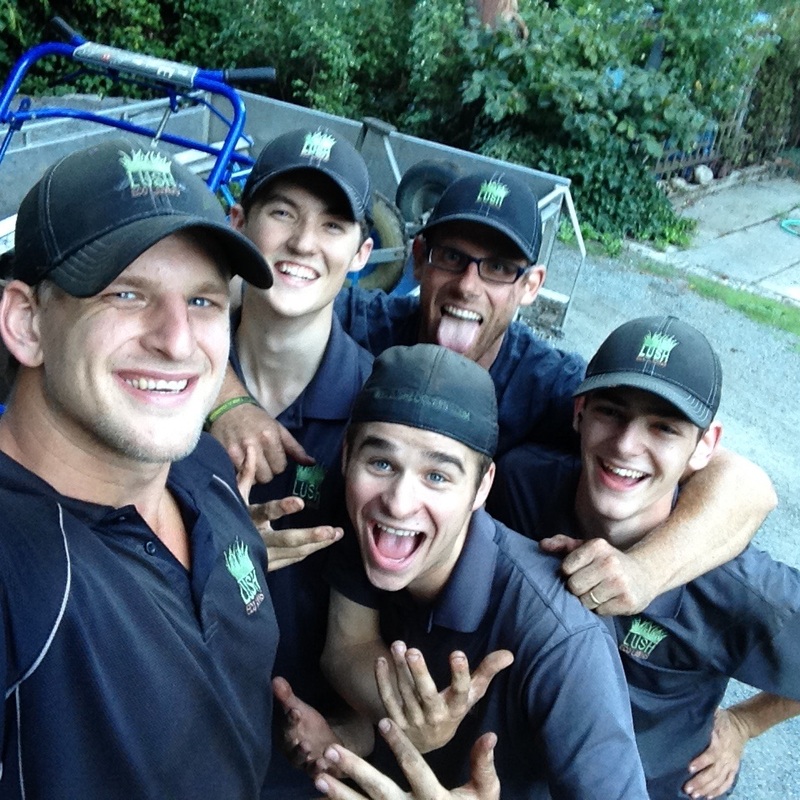 Whether you need some help to get things on track or you require more frequent attention, our experienced staff and their green thumbs will set your mind at ease. Check out a Spring Cleanup, Lush style! Yes, those are the same spaces. 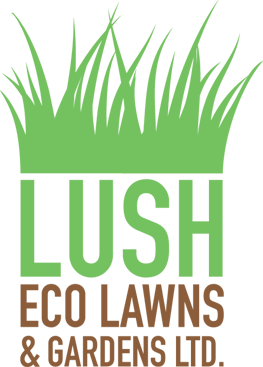 🙂 Book your 2019 Garden Maintenance today! A morning spent with our professionals and we can have your problem taken care of! It’s doesn’t take long for a garden to grow out of control! “Quick response time to initial request. Excellent follow through from initial conversation to setting up the start of the job. Professional, high quality service. Left the work site cleaner than when they started. They delivered exactly what they said they would. Pleasant and polite. 10/10” Sandy, Maple Bay. Spring and Fall are great times to trim your hedge. Be careful with the popular “buzz” look as it can bring on unwanted browning or even disease. 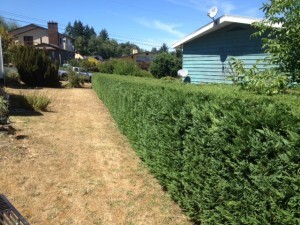 A hedge should still look full and Lush after a trim. See below. Deadheading, trimming, pruning, weeding..these are all weekly habits of any Lush garden. It doesn’t take long for a garden to grow out of control so its best to have a weekly/bi-weekly plan. 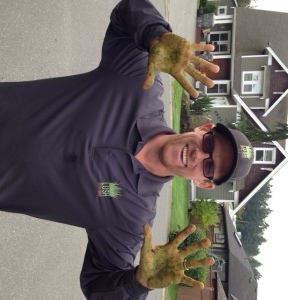 If your garden has grown out of control, no need to worry, we can have it back to its Lush self! It doesn’t take long for a garden to grow out of control. 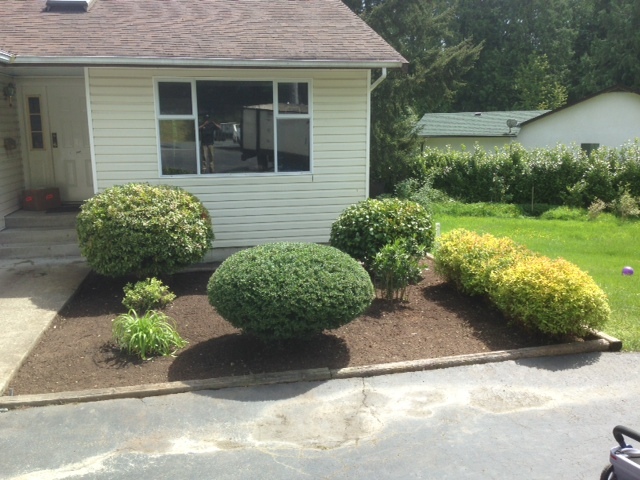 By noon our professional Duncan pruners had transformed this small space.